Don’t Cry For Me Argentina!!! Last night was my official last evening of work at the museum… I will share my early museum history and why today I’m just fine that I left… Perhaps I am crazy, as Only Idiots Listen to Bob Dylan clearly points out, people do not leave their museum jobs! After applying for a long time (maybe about 12 times over three years) and repeatedly receiving the “white card of rejection” in the mail. I finally got an interview with HR from a personal recommendation (thank you!). I was so excited to get this opportunity – finally! Unfortunately, I only had a BFA from one of the best art schools and 20 years of experience directing galleries, founding an art gallery in Taos, NM, teaching art since I was 15, being a historic tour guide, kid’s camp arts director, exhibiting fine artist etc. was told I had no experience for lack of an advanced degree. I was shut down and told there really was no jobs available for me. I just refused to leave that office without a job and asked if there really wasn’t anything.. I was offered to work in the gift shop or as a gallery security guard. I thought it would not be bad to look at art all day so I said please being me the uniform! This single Mom was happy, thought I was actually a good guard and felt completely fortunate to finally work in the museum I wanted to for so long. I ultimately had way bigger dreams then being a security guard but for then was willing to work my way up the latter! A friend I made while being a guard gently refers to working in Security sometimes on FB as working in “the mines”… I understand that. Whereas in Europe its very prestigious to work in museum security, here I have seen and experienced where it may become a labor of drudgery for some. Despite being on the bottom of the chain, I still rocked that uniform with fabulous looking boots and a great attitude. I seized that opportunity to really learn the art in each gallery. I’d secretly sketch the works, once caught, I’d memorize all the labels. I’d make a game of learning the accession numbers, listen to docents and learn details about all the works. I even would help visiting students write their essays on a work of art they were excited by in the area I was guarding. Eventually I started noticing occasional errors in the labels or weird things I thought “needed to be fixed” in the galleries. I would find this nice guy I’d see walking around who seemed to fix things named Ken, and tell him things like, “The date on the Fournier painting is wrong”, and explain why I thought that. Shortly after, the label had changed. So again, I said “Excuse me, may I just show you there’s a Period room with two different colored candles, this sconce has an ivory colored candle and the opposite has an eggshell colored candle”, and again they changed it! My shining moment of glory was after the entire Bell Court Decorative Arts Galleries were completely re-installed, I pointed out that the Wedgwood box couldn’t bee seen well enough because the frame of the bay window was blocking the view. I knew I could NEVER say that to the curator even though it burned inside of me and kept me up at night. I took the risk of gently suggesting to Ken that if it was moved just two inches over it would not have a deep shadow on it. A few weeks later it had been quietly readjusted. It was confirmed for me then that I had influence, I could really change things. I felt that my voice, carefully used, actually mattered here. After a couple months of standing around guarding art I knew I should try to peruse an advanced degree and thought since I love to paint and have read art history books since I could remember would then perhaps be a Painting Curator. While working in the Judaica gallery a docent offered a group of visiting school children what I considered a pretty poor explanation of a Tzadaka box . I realized then that it was important for me to be a Judaica Curator so I may be in the appropriate position to change the docent files and possibly other things that could help educate others. I knew if I wasn’t part of the solution, that I was part of the problem of the lack of cultural understanding and compassion for others. This path was more meaningful to me then writing about Caravaggio or Botticelli, for instance. Perhaps I may contribute to something bigger then just my personal interests in art. Perhaps I may even contribute to the prevention of another genocide. Although I felt that I was contributing to change there I also felt like I was becoming stuck. First of all, I didn’t have a “real full time” job there. So I was never really “in”. How much change can you make when you aren’t even really “in”? I once actually got fired for refusing to do something very compromising during a short job stint in Visitor Services and figured I never really got hired again because there was a big red NO! at the bottom of my records after that… Or perhaps because I was so full of ideas about new ideas and things and how cool it would be if x-y-z… Change is sometimes threatening to people. I remember years ago in Italy (I went there with that same great man Ken I ended up Interning & Volunteering for) -after seeing a Kinects wall in an exhibition, returned talking all about it and people looked at me like I was crazy…now the museum brings in other people to do that stuff even though I’ve been telling them stuff like this – like to build cool apps with our collection using new innovations like AR & games etc for a long long time!!! So I’m not crying today that I don’t have a job at my favorite museum. I am ready for my next steps and know the museum is there to support me in many ways (but not necessarily a job) – but now I also believe my life and career are bigger then just this museum…I’ve enlarged my scope and feel like I’m full of options. So please, don’t cry for me Argentina!!! When my neighbor asked how will the museum go on without me? I answered that a well run institution (despite that it could use some change, as all museums can) should not fall apart if any one person leaves. A well run organization should just keep running smoothly and if your work matters you will be able to see and other people’s work perfectly…Perhaps at one time my ego may have wanted it to shake a little – but not anymore. I love my museum but now its time for me to move forward! Because many of you attended #AAM2012 in Minneapolis you know that its Minnesota Museum Month this May. I have been visiting a Museum-A-Day to contribute to bring awareness to the 600+ museums in my home state, with aprox 60 in my local metropolitan area. You all came here and loved it- I heard all weekend how you loved our museums and the food and how cool it was. Yes, Having the most museums per capita is amazing but because I live here I have always had the perspective that Im supposed to move to New York or California to “make it”… and living in MN is like living in the middle of nowhere. So with that feeling I thought of what pioneers GenXers are known for being and went to visit a museum out in the middle of nowhere to deeper embrace my Minnesota Museum culture. I went out to rural MN and had a profoundly successful museum experience and also found parts of my identity there. I learned more about the feminine identity of the 19th century and felt that I could relate with them by being isolated and innovative. I also learned that I love where I am…even in seemingly the middle of nowhere! GenX smells like Pioneer Spirit! Please read about how a GenX finds herself at the farm. 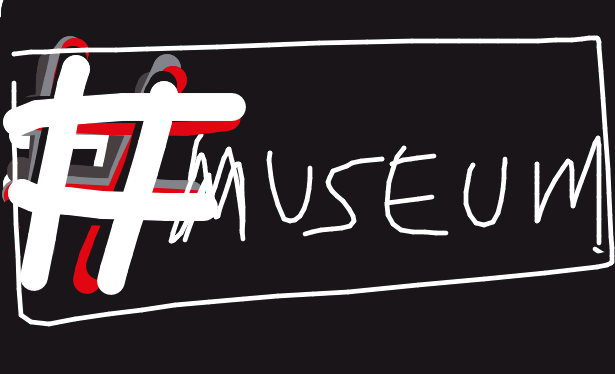 This is one of my first blog posts on museums. Let me know I’m not alone out here..